You don’t have to buy commercially prepared food for your baby. Homemade baby food is easy to make, inexpensive and environmentally friendly. It can be as nutritious, if not more nutritious, than store-bought baby food. Eating homemade baby food teaches your baby to enjoy the same foods that you prepare for the rest of the family, also. Your baby is ready for table food when they can move their tongue from side to side, chew with their new teeth, and spoon feed themselves with their fingers or with your help. When your baby is between six and 11 months old, you can start gradually adding a variety of table foods to their diet. Refer to HGIC 4100, Feeding Your Infant for a general guideline of suggested times to offer different foods to your infant. At first, feed your baby single ingredient foods that have been pureed. Offer only one new food at a time for several days in a row. Watch for signs of a food allergy (e.g. rash; hives; coughing; diarrhea or vomiting), and contact the doctor if your baby has any of these signs. Otherwise, give your baby about a week to adjust to a new food before offering another one. Gradually your baby will be ready for some foods that are not pureed. You can begin mashing their foods with a fork or finely chopping soft foods like vegetables, fruits or cooked chicken. You can feed them small cubes of toast or bread, also. Do not serve your baby a mixed-ingredient food until they have eaten each individual food separately, and you know they are not allergic to any of them. Mixed foods (e.g. casseroles and pizza) are not appropriate for babies under a year old. These foods may cause an allergic reaction, or they may contain ingredients that could choke your baby. Definition: Pureeing food means that you put it through a sieve or grinder to make it into a liquid-like, smooth texture. For a thinner consistency, add water or other liquids. Equipment: You can puree many foods from the family table for your baby by using a fork, potato masher, blender, strainer, food mill or baby food grinder. Foods can be mashed with a fork or chopped finely for older babies. Safe Preparation Procedures: Follow clean, sanitary procedures in all food preparation and storage. Wash your hands, all surfaces and equipment with detergent in hot water and rinse thoroughly. Use separate utensils and cutting boards for animal foods (e.g. meat and poultry) and non-animal foods (e.g. 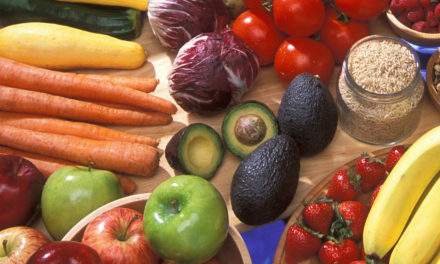 vegetables, fruits and breads). After cleaning food preparation surfaces, sanitize them by flooding the surfaces with bleach solution made from 1 teaspoon unscented chlorine bleach to 1 quart water. Allow solution to stand for several minutes, then rinse and air dry or pat dry with fresh paper towels. Thoroughly rinse fresh fruits and vegetables under running tap water, including those with skins and rinds that are not eaten. While rinsing firm-skin fruits and vegetables, scrub them by rubbing with your hands or with a clean vegetable brush. Remove and throw away bruised or damaged areas where bacteria can thrive on produce. Washing fruits and vegetables with soap, detergent, chlorine bleach solution, or commercial produce wash is not recommended, because they could be absorbed into the produce or leave a residue that could make some babies sick. Ways to Cook: Steaming and boiling are the best cooking methods to conserve nutrients. Microwave cooking is acceptable, especially for vegetables. Do not add salt, seasonings, sugar, margarine, butter, lard, oil, cream, syrups, gravy, sauces or fat drippings to food for babies less than one year old. Foods taste differently to your baby than they taste to you. Rub a small amount of pureed food between your fingers to test for smoothness. You may need to add some fluid (e.g. formula, breast milk, fruit juice, water or cooking water) to make it the right consistency. Foods to Use: Choose high-quality fresh (preferred), frozen or canned vegetables, fruits and meats. The United States now requires Country of Origin Labeling (COOL) to give consumers information about the origin of foods. The following foods sold in retail stores must have a COOL label: meat, poultry, wild and farm-raised fish and shellfish; fresh and frozen fruits and vegetables; peanuts, pecans and macadamia nuts, and ginseng sold by designated retailers. However, these foods are not required to have a COOL label if they have been physically or chemically changed through a process such as cooking, curing or smoking. Vegetables & Fruits: Wash vegetables and fruits well in clean cold running water. Before cooking, remove parts not to be eaten (inedible peels, seeds, pits). Edible skins and peels can be removed either before or after cooking. Fresh-cooked vegetables and fruits can be pureed with no added salt, sugar, fat or other unnecessary additives. To minimize vitamin loss, boil fresh vegetables or fruits in a covered saucepan with a small amount of water. Or, steam them until just tender enough to either puree, mash or eat as a finger food. Canned or frozen vegetables and fruits may be pureed, also. When using commercially processed canned or frozen items, check the ingredient label to avoid extra sugar, salt, fat, and other unnecessary additives. Commonly Pureed Vegetables & Fruits: Ripe mashed bananas; applesauce; dried, cooked prunes; fresh pears and peaches, soft-cooked and pureed; potatoes; sweet potatoes; winter squash; peas; asparagus and green or wax beans. Do not serve citrus fruits or juices until the baby is one year old. High-Nitrate Vegetables to Limit: A baby under six months old should not eat home-prepared high-nitrate vegetables, including: beets; broccoli; cabbage; carrots; celery; collard greens; lettuce; spinach and turnips. It is best to wait until your child is a year old before feeding them these vegetables. Limit to no more than one to two tablespoons per feeding. Nitrates in these foods can change to nitrites, which bind iron in the blood, making it hard to carry oxygen. This may cause breathing difficulty and may even make the skin turn blue. Meats: Remove all bones, skin, connective tissue, gristle and fat from meats, poultry and fish before cooking. After cooking, remove tough parts and visible fat. All meats, poultry and fish should be well cooked to kill harmful bacteria, viruses or parasites. Baking, boiling, broiling, braising, roasting, stewing, poaching and steaming are good cooking methods, but frying is not. Cook food until soft and tender and it reaches a safe temperature, according to a meat thermometer. Refer to HGIC 3580, Cooking Meat Safely for more information. Cut cooked meat into small pieces or thin slices and puree. Warm meat is easier to blend than cold meat. Do not cook food in an oven at a temperature below 325 °F. Do not heat pureed meats in the microwave, because hot spots in the meat could seriously burn your baby’s mouth and throat. Before you feed your child hot dog wieners, luncheon meats or deli meats, thoroughly reheat these meats until steamy hot. Let them cool before serving. Reheating destroys Listeria, a foodborne bacteria that, if present, could make your infant sick. Eggs: Buy refrigerated eggs with clean, uncracked shells. Store them in the original carton in the main section of the refrigerator, not on the refrigerator door. Use eggs within three to five weeks after getting them home and putting them in your refrigerator. Hard cook eggs until the yolks and whites are firm and not runny, and then separate the yolks from the whites. Serve only the yolks to babies less than one year old, because egg whites may cause an allergic reaction. To soften the yolks, mash them with some liquid, such as sterile water or infant formula. Make sure that eggs are not kept at room temperature for more than two hours, including serving time. Never feed a baby raw or partially cooked eggs or foods that contain them (e.g. homemade ice cream, mayonnaise or eggnog). Pasteurized egg products, such as dried egg yolks that are used by some chefs and institutions, are extremely safe to serve your baby. However, pasteurized egg products contain some salt or sugar for stability if frozen. Dry Beans & Dry Peas: Follow cooking instructions on the package label or a basic cookbook. Do not add seasonings, salt, or fat to the beans or peas. Cook until soft enough to puree or mash easily. If canned beans or peas are used, drain the salty water and rinse them with clean water before pureeing or mashing. Grain Products: Cook noodles, macaroni, spaghetti, rice, barley and other grain kernels until very soft. Then mash, puree, or finely chop, depending on the baby’s development. Babies can choke on cooked grain kernels that are not mashed or ground. Unsafe Foods to Avoid: Do not give babies any baked goods or other foods that contain honey (e.g. graham crackers made with honey or Honey Nut Cheerios®). Never add honey or corn syrup to your baby’s food, because it may contain bacterial spores that could cause a life-threatening illness or even death. Avoid canned food from dented, rusted, bulging, leaking or unlabeled cans and jars. Do not feed your baby any home-canned food except fruits. In addition, do not feed them raw fruit purees, because some raw fruit can carry pathogens and is a food safety risk. Therefore, you should heat the puree of raw fresh fruits (e.g. apples, peaches, pears, melons and other soft fruits) to about 180 °F, or to a simmering temperature, and then cool. The Food and Drug Administration (FDA) also warns against giving young children unpasteurized fruit juices. Prepare foods for a baby immediately before use, and avoid using leftover food. Allow freshly cooked food to cool for 10 to 15 minutes so that it does not burn your baby’s mouth and throat. Before feeding the food to the baby, taste test the temperature using a CLEAN spoon. Food that is not eaten right away should be refrigerated or frozen immediately after cooking. Cover, wrap, or protect food, and label with the date and time prepared. Never leave baby food (solid or liquid) for more than two hours at room temperature (between 40 °F and 140 °F) or for more than one hour if the temperature is above 90 °F. 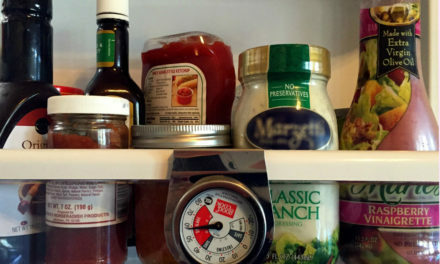 Throw out any foods left unrefrigerated for longer times. When food is left out longer, bacteria can grow to harmful levels and may cause your baby to get sick. Refrigerator: Baby food spoils more easily than other foods, because it has been pureed or ground. It also does not contain the preservatives needed in many shelf-stable processed foods. If freshly prepared baby food (pureed food) is not used right away, refrigerate it in shallow covered containers and use within one or two days. Meats, poultry, fish and egg yolks should be used within 24 hours. Make sure your refrigerator maintains the food at a consistent temperature of 40 °F or lower to keep food safe. Freezer: Freeze pureed baby food in single-serve portions so that it can be heated and safely fed to your baby. There are two recommended ways to freeze it. Ice Cube Tray Method: For single-serve portions, pour cooled, pureed food into a paper cupcake liner or directly into sections of a clean ice cube tray. Cover with plastic wrap or foil and place in freezer. Cookie Sheet Method: Drop 1-2 tablespoons of cooked, pureed food in separate spots on a clean cookie sheet. Cover with plastic wrap or aluminum foil and put in freezer. When cubes or pieces of food are frozen solid, put them in a plastic freezer container or bag and store in the freezer. Write the name of the food and the date on the container and use within one month for best quality. Make sure the freezer temperature is cold enough (preferably 0 °F or below) to keep food safe. Thawing: Frozen food can be thawed, or defrosted, three ways: in the refrigerator; under cold running water or as part of the reheating process. Don’t thaw baby food on the counter at room temperature or in standing water (e.g. in a pan or bowl). When you remove baby food from the freezer, label it with the date and time removed. Store thawed food in the refrigerator and use most within 48 hours or throw it out. Meats, poultry and fish should be thrown out after 24 hours, however. Do not refreeze baby food that has thawed. Warming: Baby food can be served cold, at room temperature or slightly warmed. Refrigerated or frozen home-prepared baby food should be thoroughly reheated to at least 165 °F before feeding it to your baby. There are three ways to warm baby food. An Electric Baby Dish: This keeps the food at constant temperature, but food should always be stirred and tested for temperature before feeding to the baby. A Small Heat-resistant Dish Placed in a Saucepan: After dishes are placed in about an inch of water in a saucepan, heat water to simmering, not boiling. When food is warm, remove, stir and test for temperature. Higher-fat foods, such as meat and eggs, should always be warmed on the stove, because they heat faster and splatter or overheat more. A Microwave Oven: Microwave ovens heat unevenly and cause “hot spots,” even if the food feels cool to you. If you decide to heat your baby’s food in the microwave, follow these safety tips. Cover the dish with a microwave-safe cover, not plastic wrap. Stir food well and turn dish often. Heat food only a few seconds to a lukewarm temperature. Stir to prevent “hot spots,” then let sit for a few minutes. Regardless of the warming method you use, always stir and taste test food yourself. Make sure the temperature is lukewarm and won’t cause severe burns to your baby’s mouth and throat. Feed your baby with a CLEAN spoon, and throw away any leftover food in the baby’s dish or the serving dish. Reheat food only one time, and never refreeze food that has been thawed. Making your own fresh fruit purees is a food safety risk, unless you heat them first. Raw fruit purees are unsafe for babies to eat, because some raw fruit can carry pathogens. Therefore, you should heat the puree of raw fresh fruits (e.g. apples, peaches, pears, melons and other soft fruits) to about 180 °F, or to a simmering temperature, and then cool. The Food and Drug Administration (FDA) warns against giving young children unpasteurized fruit juices, also. Choose a ripe banana with an unbroken peel and no damage to the outside. Rinse the banana under running water and remove the peel. Puree or mash the banana with a clean fork. Serve immediately, and throw away leftover banana. Peel, quarter and core apple. Combine with pineapple juice and heat to about 180 °F, or a simmering temperature, until soft. Blend until smooth in texture. Let cool before serving to baby. Peel, core, and dice apple. Combine with ½ cup water in a saucepan, then bring to a boil over high heat. Cook for 5 minutes. Let cool for 10 minutes, then puree mixture until smooth. While apple is cooling, prepare the peaches. If using fresh peaches, peel and slice them. Combine peaches with 2 tablespoons water in a blender. Puree until smooth. Combine apple and peach mixture and heat the puree to about 180 °F, or to a simmering temperature. Let cool before serving to your baby. Freeze no longer than one month for best quality. ½ cup freshly cooked or home-canned fruits. Use apples, pears, peaches, nectarines, apricots or cooked dried prunes (without sugar). Remove skin and seeds. Press through a sieve, or put ingredients in food mill or blender and puree until smooth. Serve or freeze. Freeze no longer than one month for best quality. Remove skin and seeds. Puree ingredients in baby food mill or blender until smooth. Heat the puree to about 180 °F, or to a simmering temperature. Let cool, then serve or freeze. Freeze no longer than one month for best quality. Place peas and water in saucepan. Bring to a boil over high heat, and cook for 6 minutes. Let cool 10 minutes, then puree until smooth. Serve or freeze. Freeze no longer than one month for best quality. Cook fresh vegetables, or use frozen or canned vegetables without salt or seasoning. (Read labels for ingredients.) Press vegetable chunks through a sieve or baby food mill. Thin with cooking liquid or formula to eating consistency. Or, put cooked vegetables and liquid in a blender and puree until smooth. Serve or freeze. Freeze no longer than one month for best quality. Note: After the individual vegetables have been fed several times, some good combinations are: potatoes and carrots, potatoes and green beans, carrots and peas. Cook lean meat (fat, skin and connective tissue removed) over low heat in a small amount of water. Puree meat and liquid until smooth. Serve or freeze. Freeze no longer than one month for best quality. Combine and blend until smooth. Serve or freeze in serving-size containers. If frozen, use within one month for best quality. Note: Serve combination dishes only after you have fed the individual foods several times. Put eggs in a saucepan and cover them with 1 inch of cold water. Put pan on a burner on medium-high heat. Let water come to a boil, put a lid on the pan, and move the pan onto a cold burner. Set a timer for 15 minutes for large-sized eggs (12 minutes for medium-sized or 18 minutes for extra large-sized). When the time is up, cool the eggs promptly by setting the pan in the sink and running cold water into the pan. Peel eggs and remove yolks. The recommended way to peel an egg is to gently tap the cooled egg on the countertop or table until it has cracks in it. Roll it between your hands until the cracks turn into small crackles all over the egg. Starting at the large end of the egg, use your fingers to peel off the shell. Combine egg yolks with 1 tablespoon of formula or water per yolk and mash until smooth. Store in refrigerator and use within one day. Or, freeze and use within one month for best quality. Note: Use only the yolks. The extra egg whites can be used in the family’s casseroles, salads or other dishes. To avoid problems with allergies, wait until your baby is a year old to feed them egg whites. Combine yogurt and fruit, mashing lumps of fruit if necessary. Mix egg yolks and sugar. Stir in milk and mix well. Cook over low heat, stirring constantly, until mixture coats the spoon. Store in refrigerator and use within one to two days. Fruits Only: Fruits are the only type of baby food that may be canned safely at home. However, the following fruit purees should not be home canned: bananas; figs; Asian pears; tomatoes; cantaloupe and other melons; papaya; ripe mango or coconut. There are no safe recommendations for these fruits. Other fruits can be pureed or mashed (chunk-style), and then processed in the following way. Hot Pack: Select your favorite fruit or mixture of fruits. Stem, wash, drain, peel and remove pits from fruit if necessary. Measure fruit into a large saucepan, crushing slightly if desired. Add 1 cup hot water for each quart of fruit. Cook slowly until fruit is soft, stirring frequently. Press through a sieve or food mill. If desired for flavor, add sugar to taste. Reheat pulp to boil. If sugar was added, boil until it dissolves. Pack hot fruit into clean, hot half-pint or pint jars, leaving ½-inch headspace. Remove air bubbles. Wipe jar rims. Adjust lids. Process half-pints or pints in a boiling water bath for 20 minutes of actual boiling over the tops of the jars. For step-by-step instructions on using the boiling water bath method, refer to HGIC 3040, Canning Foods at Home. Do not use commercial baby food jars for canning, because they require special equipment for sealing that is not available for home use. To Serve: Heat the blended foods to boiling, simmer for 10 minutes, cool and serve. Store unused portions in the refrigerator and use within 2 days for best quality. Caution: Do not attempt to can pureed vegetables, red meats or poultry. Proper processing times for pureed foods have not been determined for home use. Instead, can and store these foods using the standard processing procedures. Then puree or blend them at serving times. Sometimes you want to make baby food at home from fresh ingredients, but at other times you may need to feed your baby store-bought baby food, which is a convenient, nutritious option. Nutrition Labels: Read nutrition labels so you’ll know what ingredients are in the food you buy for your baby. Most commercial baby food companies no longer add salt, sugar and starch like they did in the past. Combination foods (e.g. dinners and desserts) often have added starch and sugar. They also are more expensive and may be less nutritious than individual foods. Infants grow so fast that they need more calories from fat than older children and adults. Therefore, labels on food for infants and children less than two years old do not list the calories from fat, saturated fat, polyunsaturated fat, monounsaturated fat or cholesterol. Labels also don’t contain the column “Percent Daily Values” or the reference to the 2,000-calorie diet. Baby food is packaged for different stages (e.g. stage 1, 2 or 3), depending on the texture of the food. Cautions: Do not feed a baby under one year of age any commercial foods containing whole eggs or egg whites. Never heat commercial baby food in the jars, because they could crack or break when heated in the oven, boiling water or the microwave. For related information on feeding your baby, refer to HGIC 4100, Feeding Your Infant, HGIC 4101, Breast Milk or Infant Formula?, HGIC 4102, Introducing Solid Foods to Infants and HGIC 3640, Food Safety for Pregnant Women & Their Babies.